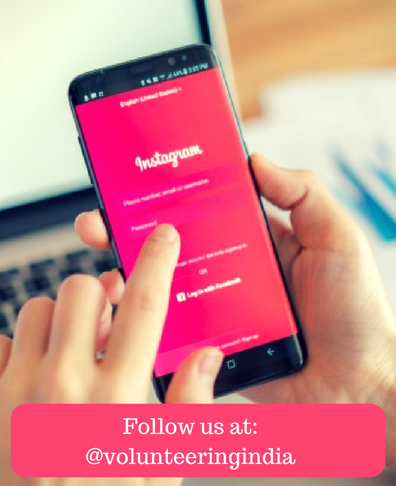 As the festival of colors is round the corner, everyone is excited making plans about Holi and how to make it more brighter than the previous years. Holi for Indians is not just another festival, but a time when Spring is welcomed after the long winter months and people sort their differences to start everything afresh. 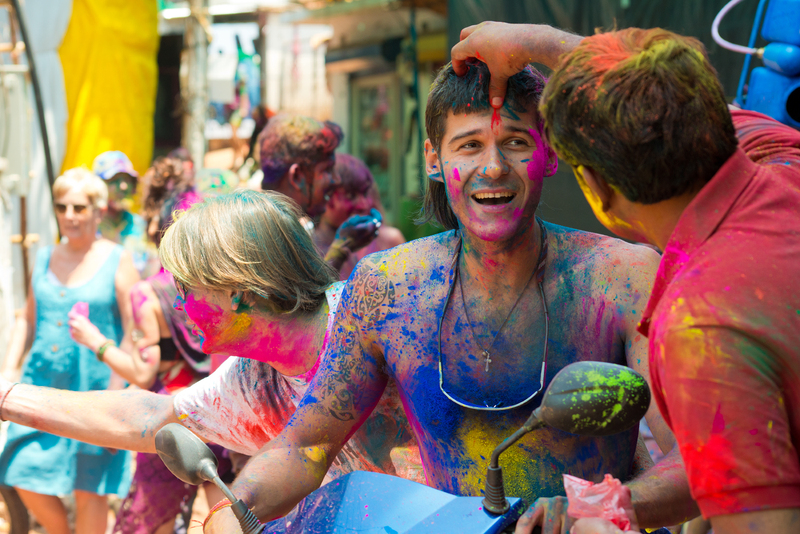 So if you are in India for your volunteer vacation, then make sure not to miss out the Holi celebrations. Being a diverse country, different parts of India have different ways of celebrating the festival. While in some cities, it’s more of music and parties with DJs and bhaang, in other areas it’s about traditional rituals or playing with fragrant powdered colors. Mathura and Vrindavan celebrate the festival with absolute grandeur and pomp. Mathura is the birthplace of Lord Krishna and Vrindavan is where He had spent his entire childhood. This region of the country prepares for the festival for almost a month. around a week before the actual day, people starts playing Phoolon Wali Holi (Holi with flowers) where the devotees usually throw flowers at the temple priests. At Banke Bihari Temple, Vrindavan, thousands of people gather on the day of Holi and the vibrancy of the place will take you to a whole new world of happiness and vibrancy. The best place to catch the throwing of colors in Mathura is Dwarkadheesh Temple. This is one of the weirdest Holi celebrations in the country. 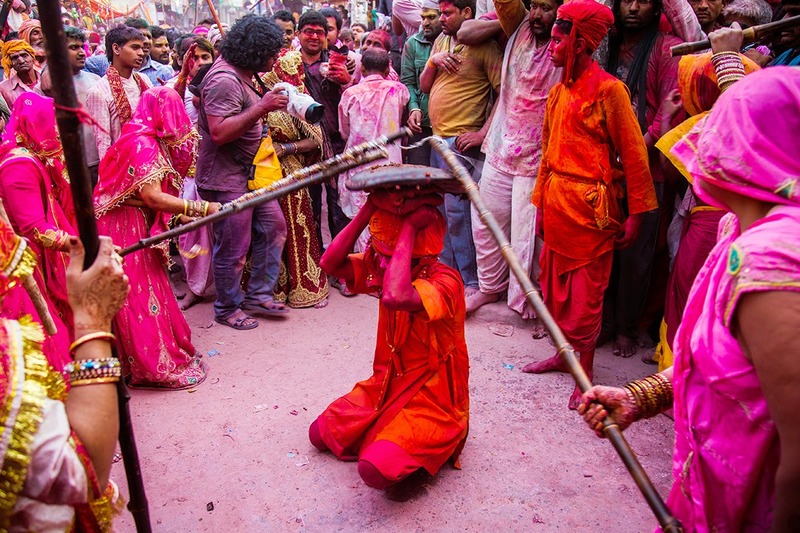 In a small town called Barsana, women beat up men with lathis (wooden sticks) on this day, while playing Holi. Men, on the other hand, try and protect themselves with shields. However, all these happens without any intention to hurt anyone. It’s worth getting to Barsana a couple of days before Lathmar Holi so that you can also experience Laddoo Holi festivities there. 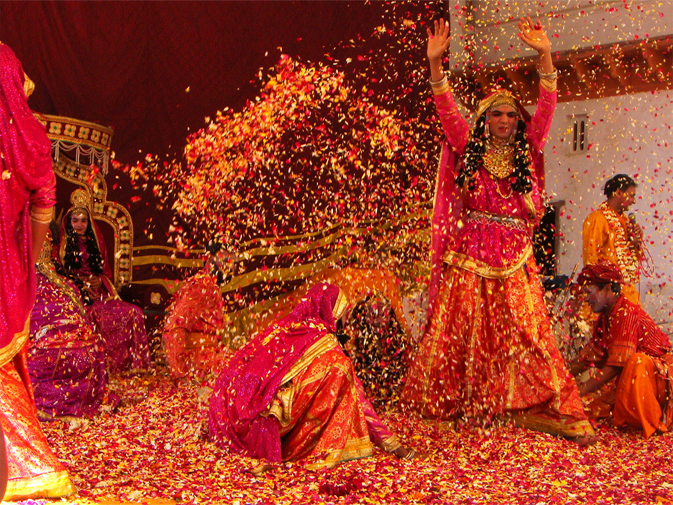 For this, sweets are thrown at people and spiritual songs related to Radha and Krishna are sung. While in North India, the celebrations are wilder, in the East it’s more sober and mild. Boshonto Utsab (meaning, Spring Festival) was started by Rabindranath Tagore in Shantiniketan, with the aim to celebrate love. You’ll find people dressed in traditional clothes and smearing powdered colors on each other’s face. Folk dance and music shows are organized by the students of Vishwa Bharati University. Boshonto Utsab has become a cherished part of Bengal’s history and culture, and it attracts numerous foreign tourists as well. In the Western part of the country, the festival is celebrated in a royal manner. One day before Holi, people light bonfires to mark the occasion and ward of evil spirits in a ritual called Holika Dahan. The Royal Rajputs belonging to the Mewar family of Udaipur organizes a procession on the day of Holi from their royal residence to the Manek Chowk at the City Palace. With decked up horses and live band party, the celebration is absolutely worth watching. Later, people start playing with colors and prayers are held. 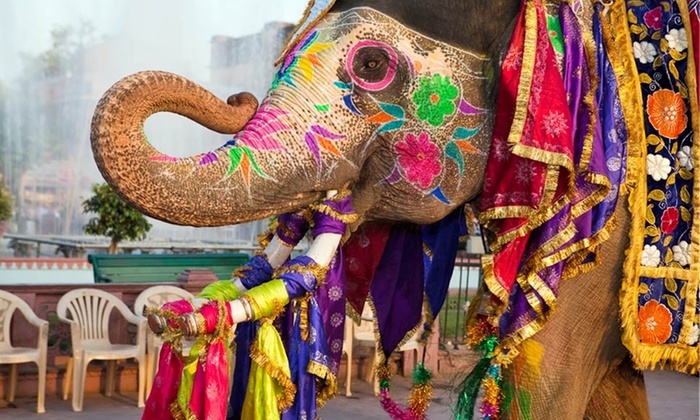 If you are in Jaipur during Holi, you will get lucky to see the huge elephants decorated with colors, parading on the streets. With the echoing sound of the trumpets, the show begins at the Jaipur Chaugan, where elephant beauty contests are also held! 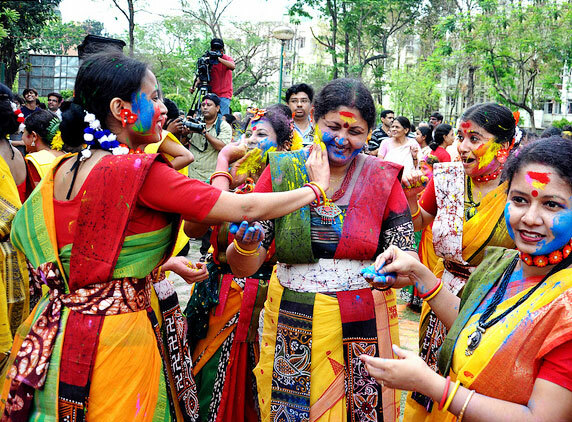 There are other events like tug-of-war, folk music and dance performances etc., on the day of Holi. The ‘Ele-holi’ celebration is one of a kind and it’s absolutely worth being a part of the Holi celebrations in Jaipur. 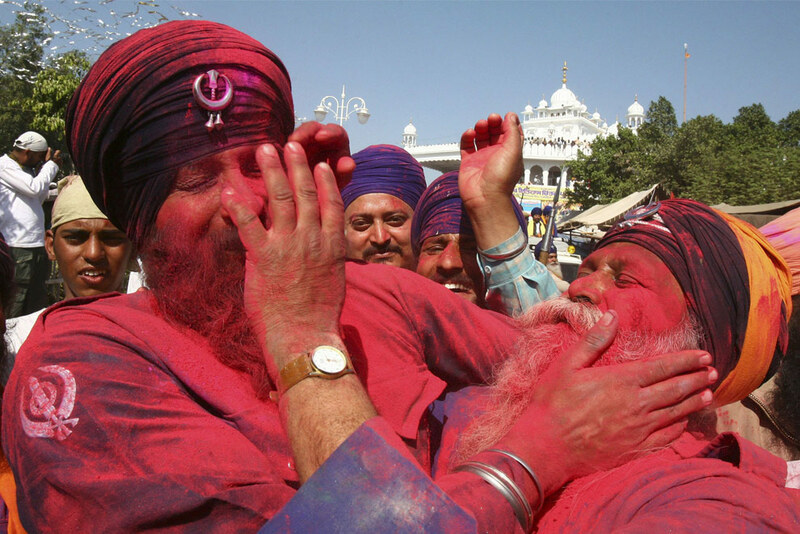 Popularly known as Hola Mohalla, it’s one of the most important Sikh festivals celebrated in Punjab. The history of this celebration dates back to 18th Century when it was introduced by Sikh Guru Govind Singh Ji, in order to make every Sikh self-reliant. During the three-day festivals, there’s less of colors and more of prayers and martial arts practices, along with sword fighting and acrobatic military stunts. It is held at at the Anandpur Sahib Gurudwara, in Rupnagar. Elaborate langars (free food) are there on each day, where thousands of people come to eat. It’s considered to be a holy festival for the Sikhs. How can we miss the celebrations in the capital city of Delhi! 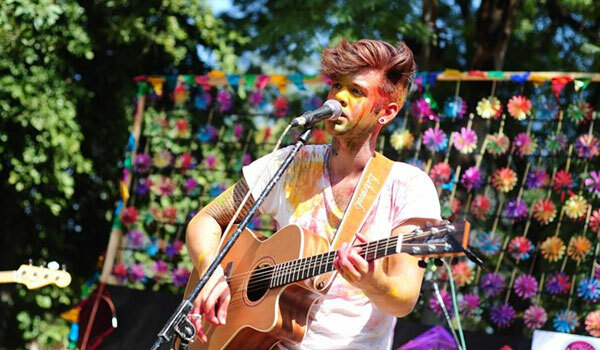 It is absolutely mad and musical, with numerous Holi parties happening at different corners of the city. You’ll see people dressed in white. waiting to get splashed with colors. Live music events take place at the ‘Holy Cow’ Festival and it’s a place where all foreigners usually flock to get a glass of chilled bhang (a drink made with milk, almonds, and marijuana leaves extract)! So if you are volunteering in Delhi and feeling lazy to head out, then ‘Holy Cow’ would be the perfect place to celebrate the festival of colors! While Holi is essentially a North Indian festival, Hampi in Karnataka is an exception! The capital of the ancient Vijayanagara Empire, Hampi throws one of the fanciest Holi parties in India where the entire town joins in celebrating – from the locals to the tourists. With drums and music, it’s a grand event that takes place. The best thing is that people go to take a dip in the Tungabhadra River after the celebrations end. 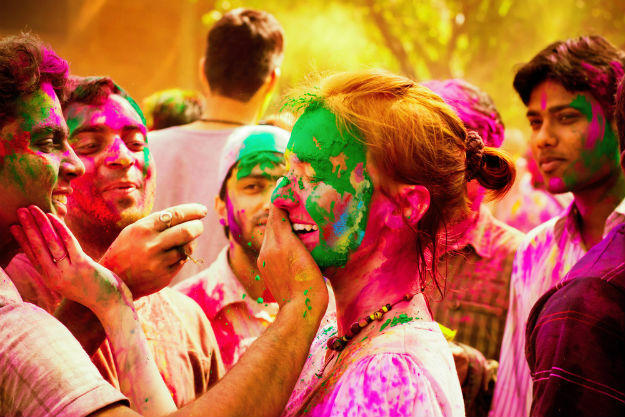 So now that you know the places, plan quickly and head out for celebrating the festival of colors! I really like your blog. I haven’t any word to appreciate this post…..Really i am impressed from this post.. Amazing pictures.